Our Arborists are the real deal. They are true professionals and honestly care about trees. We have a specialist for every type of tree service. There are some tree service companies that only focus on tree removal and some other tree services specialize in tree pruning while a few just prefer to fertilize trees. We can honestly say that we excel in every aspect of tree removal and tree care. We aren’t just part timers that dibble and dabble here and there. We are certified, trained and experienced arborists with a passion for what we do. We provide an unmatched level of service and we guarantee our customers satisfaction. We keep up with the advancements in our industry and utilize the most up to date practices and equipment. Rest assured that every tree service we offer is performed by an experienced tree service pro that understands trees. If you need a huge dangerous Oak tree removed from an impossible to access place or if you just need a little delicate Redbud tree trimmed we are the right choice. It is no secret that trees are beautiful and everybody knows that they are important. In a perfect world, trees would never have to be cut down or removed. Unfortunately, this is not the case. The world we live in is a practical place where things can go wrong and trees can easily become a hazard. Dangerous trees can cause catastrophic damage. In an urban environment like Charlotte trees can be very difficult to remove and usually require special training and skills. Special equipment is also used when trees are in close proximity to buildings, homes or utility wires. Trees can be very dangerous should only be removed by trained, certified professionals. Please visit our Tree Removal page for more info. Tree pruning is the most common tree service procedure that we perform. Trees do great in a forested environment with only Mother Nature there to do the pruning. That is not the case for trees in an urban environment like Charlotte. Mother Nature still does here pruning but the results are often undesired. Falling branches and limbs frequently land on homes, cars and even people. Urban trees require more attention and care. Periodic pruning and trimming is often necessary to prevent branches from falling and causing damage. 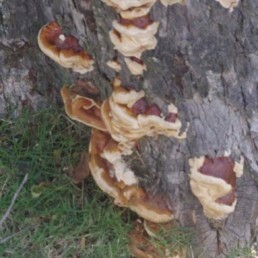 There are several reasons why trees may need to be pruned. Removing dead and dangerous branches is a good reason for pruning. Some trees need to be pruned to promote a desired pattern or direction of growth. Trees may also be pruned to improve the appearance and look. All tree pruning should be done by an experienced arborist that knows how his cuts will affect the tree. He must understand the biology of a tree. Incorrect pruning will create long lasting damage. Every cut has the potential to change the entire tree and just a one mistake can ruin or even kill the tree. Please visit or tree pruning page for more info. We love caring for trees. It has been billions of years since the first tree set its roots and made our first forests. Over those billions and billions of years, trees have thrived in, and adapted to living in those forests. In a forested environment nutrients are abundant and aggravating factors that stress trees are limited. It should come as no surprise that some trees have a hard time acclimating to living in our urban landscape and they don’t deal well the stresses this environment creates. Our Arborist have a passion for trees, they understand exactly what trees need to live a long healthy life and thrive in an urban setting. We honestly believe that the first step in caring for trees is caring about them. That care is rooted deep within us. Our passion for trees combined with our experience and knowledge makes us the best choice for tree care in the Charlotte area. Please visit our Tree Care page for more info. Removing unwanted trees with cranes is our bread and butter. It is what we do best and it is what has made us an award winning nationally recognized tree service. We own cranes that range from 18 to 60 ton cranes. Using a crane eliminates the need for complex rigging of heavy pieces. It ensures a zero impact process to your valuable lawn and landscape and it usually saves you a ton of money. The increased production allows us to offer you superior service at a lower cost. Please visit our crane assisted tree removal page for more info. Nature can be a Mother. If you find yourself in a predicament where you need an emergency tree service we are the folks to call. We have dealt with thousands of emergencies through the years. We are experts at dealing with hazardous trees. Call us immediately for any emergency tree service need. There are a million types of insects in the world and of them are harmless to trees. Keyword there being “most”. 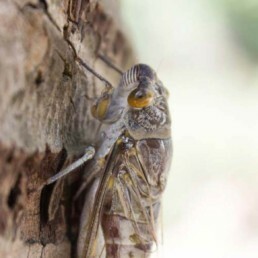 There are some insects that eat, breed and reside in trees. These insects can be extremely harmful and they can have a devastating impact on the health of a tree. Different types of insects use trees differently. There are insects that will bore into the tree and tunnel through its vascular system, causing it to die. Others will feast on the trees leaves and this can starve a tree. It takes years of experience to know what to look for and when to look for it. Our arborists have that experience and would love to help your trees in their fight against insects and other pests. Please contact us for more information regarding our integrated pest management programs. Is your tree Sick? Do you think it may have a disease? Call us. Our ISA certified Arborist are experts in identifying and treating tree diseases. We treat a variety of conditions that include Biotic and Abiotic disorders, cankers, fungal infections and rots. If you have a tree and it has a problem, you can rest assured that we know how to take care of it. We like to say that the best defense is a good offense. That is so true. A healthy tree is less likely to be attacked by insects or contract a disease. Healthy trees are full of vigor and are able to fight off pests, fungi and diseases. 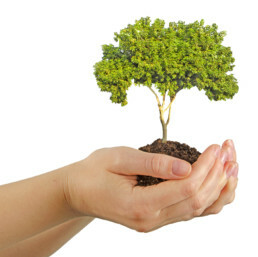 Our deep root fertilization process provides nutrients and other key elements that increase the health of your tree. We start out by analyzing the soil and mixing a custom blend fertilizer tailored specifically to your tree’s needs. We then inject that liquid nutrient solution into the ground at a high rate of pressure. There are so many benefits to fertilizing your trees with deep root injections. The tree receives essential nutrients from the injection that are often absent in urban soils. Not only does the tree receive much needed nutrients, it gets aerated at the same time. The high pressure injection method creates additional pore space in the soil surrounding the roots of the tree. This will promote new fibrous root development and it will increases the trees health and vigor. Please visit our deep root fertilization page to learn more. After a tree has been cut down the stump remains. These stumps can be very unsightly. 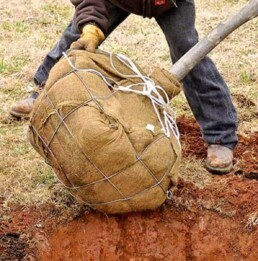 If not ground or removed stumps can last as long as 10 years before rotting away. Who wants to wait 10 years for it to rot? The stump grinders that we use will eliminate a stump in minutes not years. We grind to the industry standard of six to eight inches below grade. Please visit our stump grinding page to learn more about the process. Urban soils can be a very challenging environment for trees. A healthy soil profile is comprised of a robust mixture of organic material, nutrients and organic life. It is full of pore space for roots to breathe and develop into. The decomposing organic material such as leaves and twigs provide nutrients for the tree. Leaves are regularly removed from urban landscapes and lawns. Because of this, urban soils can develop nutrient deficiencies are often void of essential nutrients that trees need. In addition to nutrient deficiencies, soil can become compacted from years of pedestrian traffic or construction. This creates an environment that is not conducive to root development and can lead to a trees death. 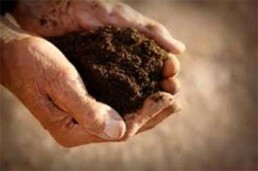 Visit Our Soil Management page. The number one killer of trees in Charlotte is new Construction. The best way to prevent this is to consult with an arborist during the planning phase. Tree protection zones should be established and buffers created. The arborist should work closely with the Project manager or property owner throughout each phase of construction to ensure the trees are protected. 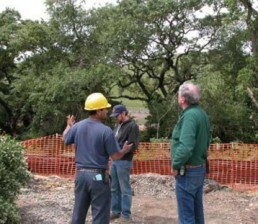 We utilize a variety of tree protection methods. Please contact us if you need an arborist to consult on your project. Studies show that trees help eliminate stress, they raise property values, they give us the air that we breathe and they are just down right awesome. We could go on and on about all the wonderful things that trees do but there isn’t enough space on the internet. We love planting trees. We plant any size and any type.